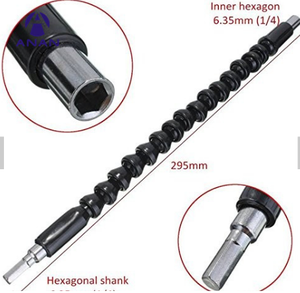 Specification: Material: Plastic + metal Full length: 295mm Flexible shaft dimensions: Hex shank: 6.35mm (1/4") Inner hexagon head : 6.35mm (1/4") Color: Black Feature: This Flexible shaft can be used for general formula hand drill chuck, it can also be used for electric screwdriver screwdriver. 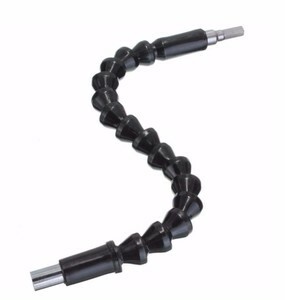 Flexible shaft head can be mounted hexagonal shank (1/4 handle) the first batch, mainly used in computer chassis, electrical cabinets, furniture, electrical appliances and other narrow space screwdriver can not work in an environment operations . 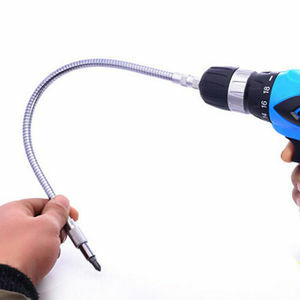 Shandong RZ Engineering Equipment Co., Ltd.
988series This 988series grip which is made of high impact PP and non-slip TPR can prevent pressure, oil and acid. 992series This 992series grip which is made of high impact PP and non-slip TPR can prevent pressure, oil and acid. 995series This 995series grip which is made of high impact PP and non-slip TPR can prevent pressure, oil and acid. Danyang Xingang Tools Co., Ltd.
Our company research and develop various kinds of hardware tools, hand tools, all kinds of cutting products, etc. 1.Q: Are you the factory or the trade company9 A: We are the factory and also do the export business. 2.Q: Can you send free samples to me after quotation 9 A: Yes ,we can send samples for free and you wil pay for the freight cost . Description: 1, Stainless iron tube driver with CR-V steel hex shank guarantee the best usage durability and torque for job demands. 2, Super powerful big magnet is fixed on the bottom of hex driving socket. 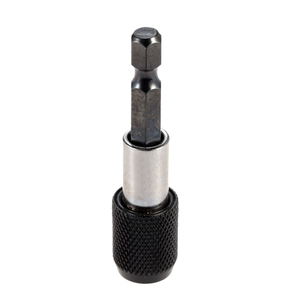 3, Also good at driving various drill bits with 1/4" quick change hex shank, such as HSS bit, wood bit, etc. 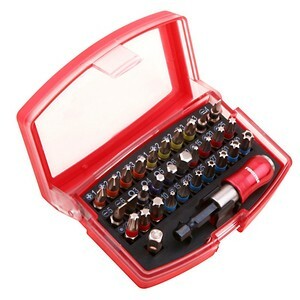 Alibaba.com offers 5,230 bits bit holder products. About 11% of these are screwdriver, 5% are drill bit, and 3% are tool parts. A wide variety of bits bit holder options are available to you, such as power tool parts, screwdriver set, and hand tool parts. You can also choose from slotted, hex, and phillips. As well as from free samples, paid samples. There are 5,236 bits bit holder suppliers, mainly located in Asia. The top supplying countries are China (Mainland), Taiwan, and India, which supply 94%, 3%, and 1% of bits bit holder respectively. Bits bit holder products are most popular in North America, South America, and Mid East. You can ensure product safety by selecting from certified suppliers, including 900 with ISO9001, 451 with Other, and 243 with BSCI certification.